Byron Price was born in the United States in 1891. 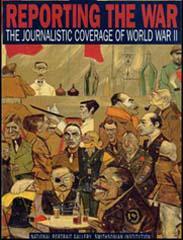 He became a journalist and by the outbreak of the Second World War Price was a leading figure at Associated Press. A couple of days after the bombing of Pearl Harbor, President Franklin D. Roosevelt asked Price if he would become head of a new organization that he intended setting up to control civilian censorship. Price imposed two conditions before agreeing to take the job as head of the Office of Censorship. Price insisted that he should be given a free hand in devising the agency's policies. He also insisted that it should be a voluntary system and that his main task should be to persuade rather than force, the country's newspapers, magazines, and radio stations into following his office's guidelines for curbing news. Roosevelt agreed to these terms and in January 1942, Price became director of the Office of Censorship in Washington. 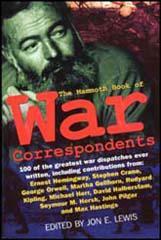 Later that month Price published a pamphlet setting out the guidelines by which he hoped the news media would abide in determining what war-related news was fit to print and what was not. Price stressed that the main question he wanted the press to ask itself about every story it considered publishing was: "Is this information I would like to have if I were the enemy?" The Office of Censorship was closed down on 14th August 1945 and Price was appointed as the Assistant Secretary General of the United Nations. In 1946, President Harry S. Truman presented Byron Price with the Medal for Merit for "exceptionally meritorious conduct in the performance of outstanding services as Director, Office of Censorship". Later he served as vice-president of the Motion Picture Association of America. Byron Price died in 1981 and his ashes were interred at Rock Creek Cemetery, Washington. One editor has suggested that newspapers might well consider abandoning articles which idealize the Japanese psychology about suicide. The point is made that by idealizing this psychology we are selling our own people, particularly our soldiers, the idea that the Japs are a tougher customer than anyone else and would be harder to lick because he does not mind getting killed. Another person has suggested that editors be careful about the use of pictures from their morgues in connection with current news developments. It happens that the person who brought up this point is in the picture business himself and has an understanding of the impact of pictures. He illustrated by saying that a picture of a battleship taken some time back and used in connection with a current story, might reveal some information as to structure, type, etc., which would be highly valuable to the enemy.